Beautiful Theresa!!!! Love that paper and the flower is so pretty. Thanks for joining us at Joan's Touch for the weekly challenge. 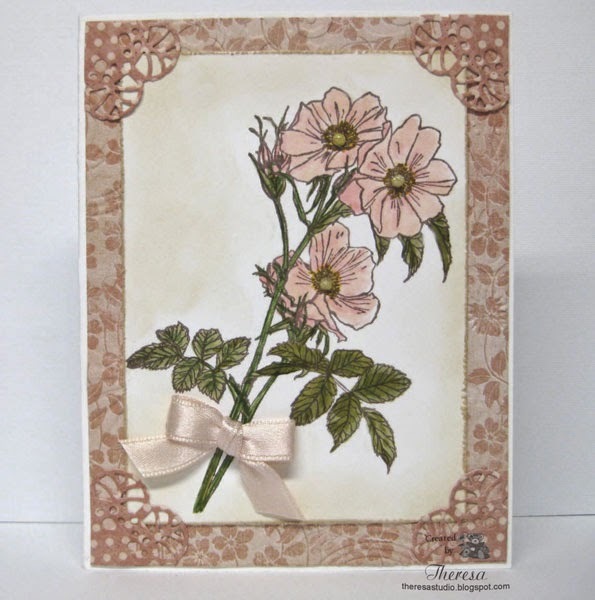 gorgeous card, love that image!